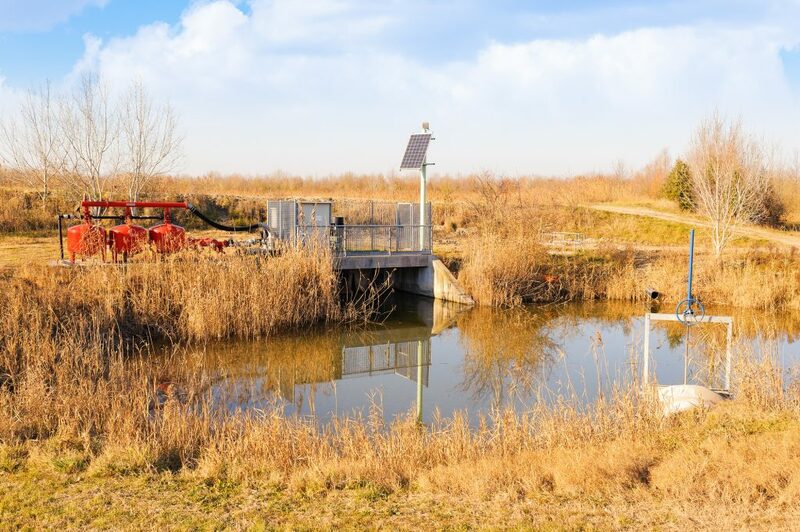 Ever thought about getting a solar pond pump for your property’s pond? If not, it may not be a bad idea. A Solar Pond Pump uses photovoltaic panels to turn sunlight energy into the energy that the pump needs. You can use the pump for aeration to keep algae from developing on your water and on the pond liner. 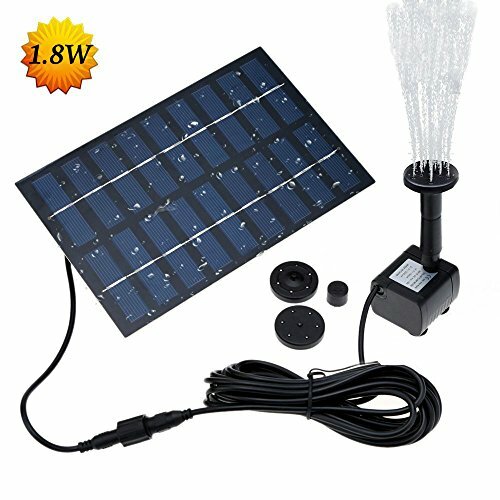 You can even use the pump for your solar fountain. All in all, a solar pond pump offers more convenience and cost savings compared with their traditional counterpart. Here’s a rundown of six benefits of using these types of pumps. Your first question when thinking about switching to solar is how much it will cost you to change your system. Good news: Solar Pond Pumps don’t cost you anything to maintain. These pumps run off the sun’s energy, so they don’t need to access electrical grids. 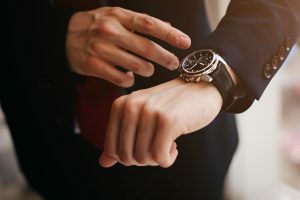 Also, the design is simple yet solid, which means you don’t have to worry about repairing, adjusting or maintaining components. 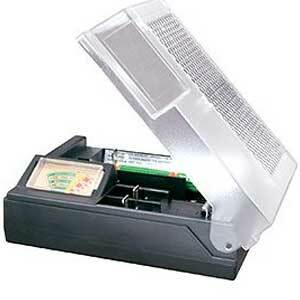 This saves you both time and money. You can use this type of pump in either a large pond or a small one. The pump’s operation is self-contained, so the size and shape of your pond don’t matter. The solar pond pump’s simple structure and flexible design also add to its versatility, making it easy to use in suburbia or in a remote area where rerouting electricity isn’t exactly easy. 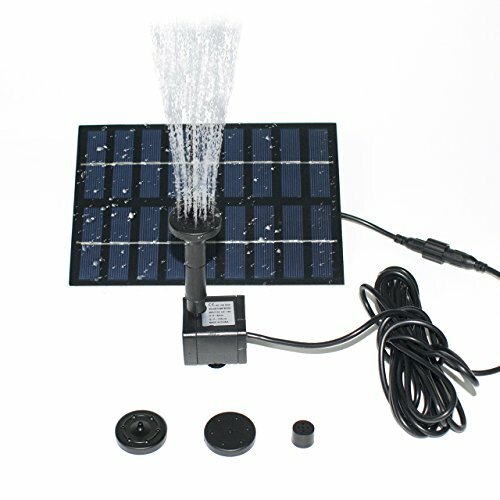 Solar Pond Pumps also offer the advantage of being simple to install. In other words, you don’t have to be an engineer to understand how to set one up. 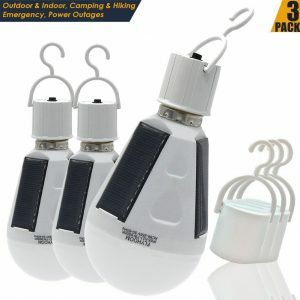 For instance, you don’t need to worry about laying and insulating power lines. 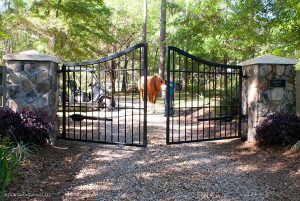 The entire installation process is hassle free, hands down. 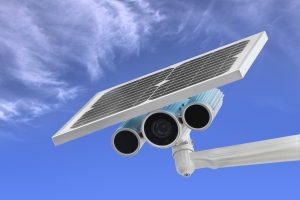 Worried about the noise levels of solar pumps? Don’t. These pumps don’t have many moving parts, and you don’t need to plug them in into anything. So, they don’t make much noise whatsoever. You can expect these types of pumps to last you a lifetime. After all, as we mentioned before, they don’t have many moving parts. Plus, the sun — their power source — shouldn’t be disappearing anytime soon. This is no doubt a popular reason to choose a solar pond pump. Solar power remains a top energy choice among the environmentally conscious compared with other forms of renewable energy today. By choosing solar, you decrease your household’s carbon footprint while getting to enjoy your pond long term. 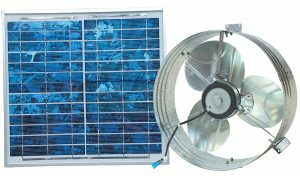 We offer a wide range of advice and tips on the best solar, electronic, electrical, fitness and technology products on the market today. Our goal is to help you to discover brand-new gadgets that may benefit you or please your friends and family as gifts. 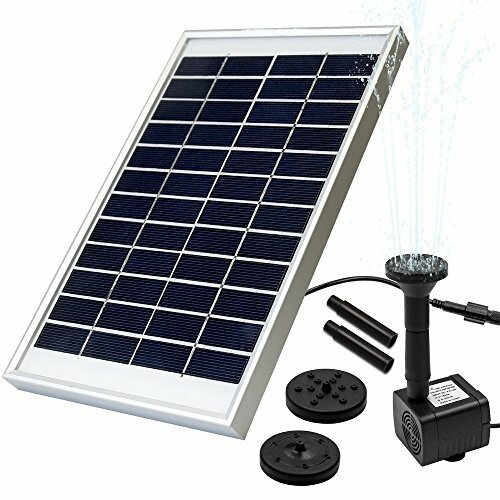 And now here are the top Solar Pond Pumps available in the market today. Enjoy. 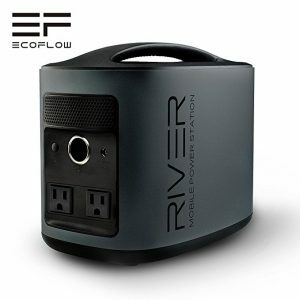 Solar powered, no extra power needed, energy-saving and environmentally friendly. Max water height: 70cm (27.6inch). Cord Length: 12Ft. Max water area: 150cm(59inch). The height of water depends on strength of the sunlight. Our solar panel has more than 20,000 Hours of lifespan. 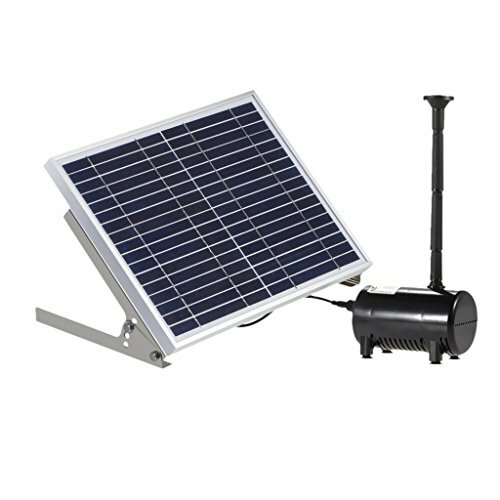 And the solar water fountain pump has a built-in brushless motor that provides a longer service life and lower energy consumption. 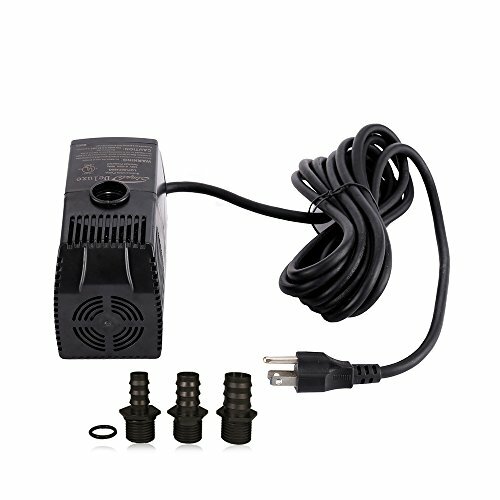 Floating Fountain Pump: It is very easy to use. You just have to do is make the pump float on the water. 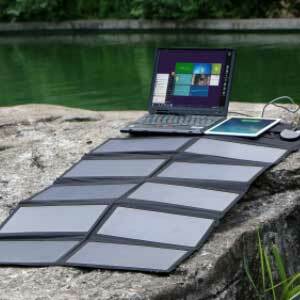 Once the solar panel gain sunlight, it will run automatically within a couple of seconds. The brighter it receives the sunlight, better it works. Sprayer for Different Water Style: There are 5 different types of nozzle heads attached with the pump itself. It helps to change the height of water in different water patterns. The water can rise up to 12-20 in approx. 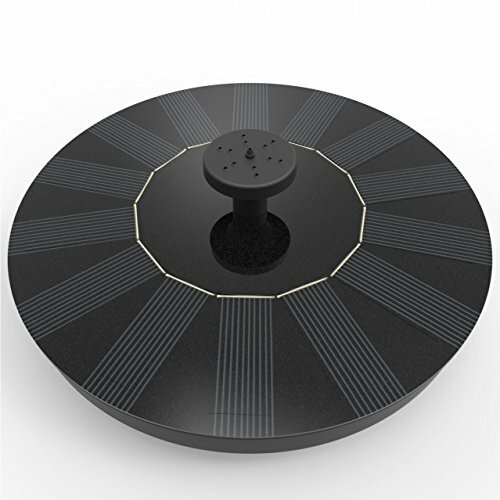 This eco friendly solar pump is perfect for bird bath, fish tank, small pond, pool, garden, water circulation for oxygen. Your garden would definitely catch all the attention of the passers-by. Let your yard look so amusingly decorated by the solar water pump. 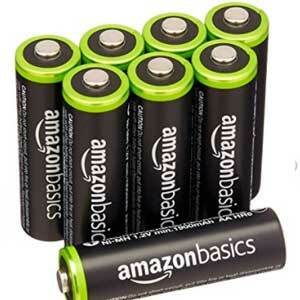 the battery absorb the solar energy when exposed to sunlight and keep it, the energy in the battery will continue work when the sunlight is over. 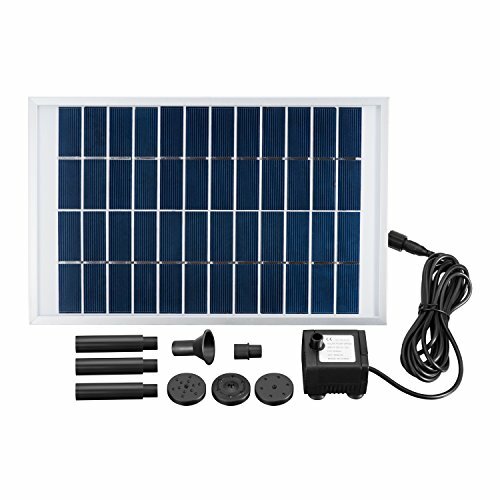 Please notify: please charge the solar panel under sunlight for about 1 hours first before you use it first time. Suggestion: Make sure you have put enough water in the fountain so that the pump can stay entirely under the water. You should clean the pump on regular basis to avoid the pump get blocked with dirt. The fountain works only when all panels are exposed to sunlight. A leaf shading one panel keeps it from functioning. It does not store any energy. Suggestion: Make sure you have put enough water in the fountain so that the pump can stay entirely under the water. You should clean the pump on regular basis to avoid the pump get blocked with dirt. 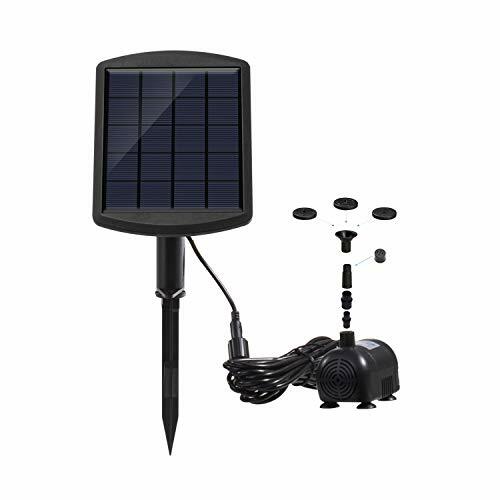 Solar pump runs automatically, solar powered, no extra power needed, energy-saving and environmentally friendly. 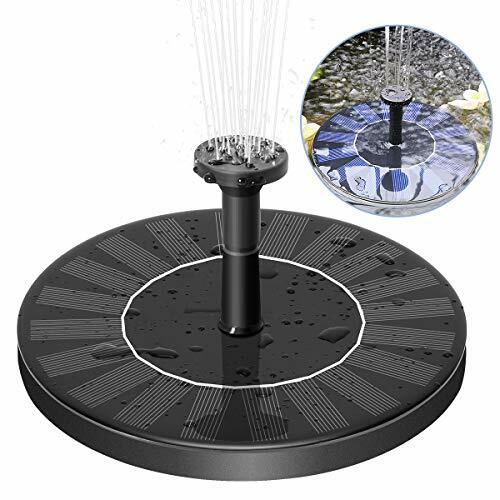 It comes with fitting accessories and 4 types of sprinkler heads for different water flows and water heights. This solar water pump has more than 20,000 Hours of lifespan. 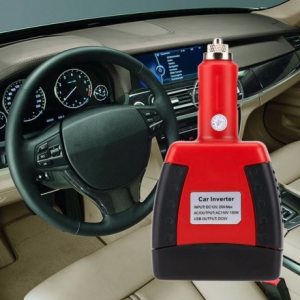 And it has a built-in brushless motor that provides a longer service life and lower energy consumption. Get in touch with us to find out more about the advantages of solar pond pumps and other devices designed to enhance your quality of life.